"Hymn (God, bless the Hungarians)"
Hungary ( Hungarian: Magyarország; mɒɟɒrorsaːɡ; listen ), officially in English the Republic of Hungary (Magyar Köztársaság listen , literally Hungarian Republic), is a landlocked country in Central Europe, bordered by Austria, Slovakia, Ukraine, Romania, Serbia, Croatia, and Slovenia. Hungary has been a member state of the European Union since May 1, 2004. In the time of the Roman Empire, the region west of the Danube river was known as Pannonia. After the Western Roman Empire collapsed under the stress of the migration of Germanic tribes and Carpian pressure, the Migration Period continued bringing many invaders to Europe. Among the first to arrive were the Huns, who built up a powerful empire under Attila. It is presently believed that the origin of the name "Hungary" does not come from the Central Asian nomadic invaders called the Huns, but rather originated from a later, 7th century Turkic alliance called On-Ogour, which in Old Turkish meant "(the) Ten Arrows". After Hunnish rule faded, the Lombards and the Gepids ruled in Pannonia for about 100 years, during which the Slavic tribes began migrating into the region. In the 560s, the Slavs were supplanted by the Avars, who maintained their supremacy of the land for more than two centuries. The Franks under Charlemagne from the west and the Bulgars from the southeast managed to overthrow the Avars in the early 9th century. However, the Franks soon retreated, and the Slavonic kingdom of Great Moravia and the Balaton Principality assumed control of much of Pannonia until the end of the century. The Magyars migrated to Hungary in the late 9th century. Magyar tradition holds that the Country of the Magyars (Magyarország) was founded by Árpád, who led the Magyars into the Pannonian plain some time after 895. The "Ten Arrows" mentioned above referred to ten tribes, the alliance of which was the foundation of the army of the invading Magyars. The Kingdom of Hungary was established in 1000 by King Saint Stephen. Originally named Vajk, Stephen was a direct descendant of Árpád, and was baptised as a child. He married Giselle of Bavaria, the daughter of Henry II, Duke of Bavaria in 996, and after the death of his father Prince Géza in 997, he assumed the mantle of ruler and became the first Christian king of Hungary. St. Stephen I received his crown from Pope Silvester II in 1000. As a Christian king, he established the Hungarian Church with ten dioceses and the royal administration of the country that was divided into counties ( comitatus or vármegye). Hungary became a patrimonial kingdom where the majority of the land was the private property of the ruler. In 1083, he was canonized along with his son, Imre of Hungary. Initially, Hungarian history and politics developed in close association with that of Poland and Bohemia, driven by the interventions of various Popes and Emperors of the Holy Roman Empire. Between 1241–1242, under King Béla IV. 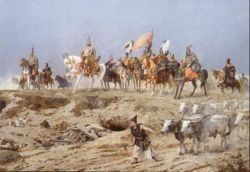 Hungary was devastated, suffering great loss of life at the hands of the Mongol ( Tatar) armies of Batu Khan who defeated the Hungarians at the Battle of Muhi. Despite the victory, the Mongols did not occupy Hungary, but withdrew shortly after upon the news of the death of Ögedei Khan, leaving behind a country in ruins. Gradually Hungary, under the rule of the dynasty of the Árpáds and even before it (since the 9th century), joined the greater West European civilizations. Ruled by the Angevins since 1308, the Kingdom of Hungary slowly lost control over territories later called Wallachia ( 1330) and Moldavia ( 1359). János Hunyadi, the Regent of Hungary fought defensive wars against the invading Ottoman Empire. The custom of sounding the noon bell is closely related to an important battle against the Ottomans that took place on June 29, 1456, at Nándorfehérvár. His son, King Matthias Corvinus, ruled the Kingdom of Hungary from 1458 to 1490. He strengthened Hungary and its government. Under his rule, Hungary became an important artistic and cultural centre of Europe during the Renaissance. 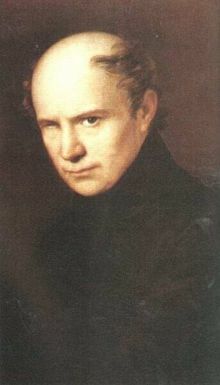 Matthias, whose wife was Italian, imported artisans from Italy and France. Likewise, Hungarian culture influenced others, for example the Polish-Lithuanian Commonwealth. King Matthias Corvinus was also successful in many battles against the Ottoman Empire. The forthcoming two centuries were dominated by the constant warfare against the Ottoman Empire. The Ottomans gained a decisive victory over the Hungarian army at the battle of Mohács in 1526. The next decades were characterised by political chaos; the divided Hungarian nobility elected two kings simultaneously, Ferdinand Habsburg (1526-1540) and János Szapolyai (1526-1540), whose armed conflicts weakened the country further. After the conquest of Buda by the Ottomans in 1541, the Kingdom of Hungary came to be divided into three parts: one third of Hungary fell under Ottoman rule; one third (in the West) remained under Habsburg rule Kings of Hungary); the third part in the east (originally supporting János Szapolyai), remained independent (the Principality of Transylvania) and subsequendly become a semi independet, vassal state of the Ottoman Empire. It was only more than 150 years later, at the end of the 17th century, that Austria and its Christian allies regained the territories of the Kingdom from the Ottoman Empire. After the final retreat of the Ottomans, struggle began between the Hungarian nation and the Habsburg kings for the protection of noblemen's rights (thus guarding the autonomy of Hungary). The fight against Austrian absolutism resulted in the unsuccessful popular freedom fight led by a Transylvanian nobleman, Ferenc II Rákóczi, between 1703 and 1711. The revolution and war of 1848–1849 eliminated serfdom and secured civil rights. The Austrians were finally able to prevail only with Russian help. Thanks to the victories against Austria by the French-Italian coalition (the Battle of Solferino, 1859) and Prussia ( Battle of Königgrätz, 1866), Hungary would eventually, in 1867, manage to become an autonomous part of the Austro-Hungarian Empire (see Ausgleich). Having achieved this, the Hungarian government made an effort to nationally unify the kingdom by Magyarisation of the various other nationalities. This lasted until the end of World War I, when the Austro-Hungarian empire collapsed. On November 16, 1918, an independent Hungarian Republic was proclaimed. 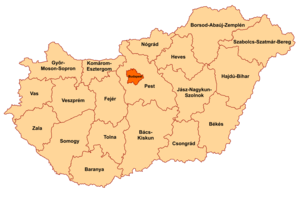 Following World War I, Romania occupied Transylvania and Eastern Hungary, Czechoslovakia Upper Hungary. The joint Serb and French army occupied Southern Hungary. The Entente backed the subsequent annexations of these territories. In March 1919 the communists took power, and in April, Béla Kun proclaimed the Hungarian Soviet Republic. This government, like its predecessor, proved to be short-lived, despite some initial military successes against the Czechoslovak army. On 13 June the Peace Conference in Versailles ordered the evacuation of the northern territories by Hungary together with the evacuation of the Tiszántúl by Romania. Hungary fulfilled the request on 30 June but the Romanian army remained in the Tiszántúl. The ensuing war between Hungary and Romania led to the defeat of the Hungarian Soviet army. By August more than half of present-day Hungary, including Budapest, was placed under Romanian occupation, which lasted until November. Rightist military forces, led by the former Austro-Hungarian Admiral Miklós Horthy, entered Budapest in the wake of the Romanian army's departure and filled the vacuum of state power. In January 1920, elections were held for a unicameral assembly, and Admiral Horthy was subsequently elected Regent, thereby formally restoring Hungary to a kingdom, although there were no more Kings of Hungary, despite attempts by the former Habsburg king to return to power. Horthy continued to rule with autocratic powers until 1944. On June 4, 1920 the Treaty of Trianon was signed, fixing Hungary's borders. Compared with the pre-war Kingdom, Hungary lost 71% of its territory, 66% of its population, and with the new borders about one-third of the Magyar population became minorities in the neighbouring countries. Hungary also lost its only sea port in Fiume (today Rijeka). Therefore, Hungarian politics and culture of the interwar period were saturated with irredentism (the restoration of historical " Greater Hungary"). Horthy made an alliance with Nazi Germany in the 1930s, in the hope of revising the territorial losses that had followed World War I. The alliance did lead to some territories being returned to Hungary in the two Vienna Awards. Hungary then assisted the German occupation of the Kingdom of Yugoslavia, occupying the Banat right afterwards, and finally entered World War II in 1941, fighting primarily against the Soviet Union. In October 1944, Hitler replaced Horthy with the Hungarian Nazi collaborator Ferenc Szálasi and his Arrow Cross Party in order to avert Hungary's defection to the Allied side, which was constantly threatened since the Allied invasion of Italy. Hungary was the first modern nation to pass distinctly anti-Semitic laws; the "numerus clausus" laws of the early 1920 were aimed at restricting the access of Jews to higher education. In the late 1930s, more specifically anti-Semitic laws followed. Some massacres of Jews by Hungarian forces took place in the early part of the Second World War, but Hungary initially resisted large scale deportation of its Jewish population. Ultimately, however, during the German occupation, the Arrow Cross Party and government authorities participated in the Holocaust: in May and June 1944, Hungarian police deported nearly 440,000 Jews in more than 145 trains, mostly to Auschwitz . Ultimately, over 400,000 Jews in Hungary were killed during the Holocaust, as well as tens of thousands of Roma people. Hundreds of Hungarian people were also executed by the Arrow Cross Party for sheltering Jews, among them Sister Sara Salkahazi. Foreign heads of states and diplomates who helped save the lives of many include Pope Pius XII, Raoul Wallenberg, and Carl Lutz. Following the fall of Nazi Germany, Hungary became part of the Soviet area of influence and was appropriated into a communist state following a short period of democracy in 1946-1947. After 1948, Communist leader Mátyás Rákosi established a Stalinist rule in the country, which was hardly bearable for the war-torn country. This led to the 1956 Hungarian Revolution and an announced withdrawal from the Warsaw Pact which were met with a massive military intervention by the Soviet Union. Nearly a quarter of a million people left the country during the brief time that the borders were open in 1956. From the 1960s on to the late 1980s Hungary was sometimes satirically called " the happiest barrack" within the Eastern bloc, under the rule of late controversial communist leader János Kádár, who exercised autocratic rule during this period. In the late 1980s, Hungary led the movement to dissolve the Warsaw Pact and shifted toward multiparty democracy and a market-oriented economy. On October 23, 1989, Mátyás Szűrös declared the Third Hungarian Republic and became interim President of the Republic. The first Free elections were held in 1990. Following the collapse of the Soviet Union in 1991, Hungary developed closer ties with Western Europe, as well as with other Central European countries, becoming a member of the Visegrad Group in 1991, and joined NATO in 1999 and the European Union on May 1, 2004. Hungary's landscape consists mostly of flat to rolling plains of the Carpathian Basin, with hills and lower mountains to the north along the Slovakian border (highest point: the Kékes at 3,327 ft; 1,014 m). 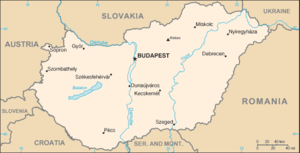 Hungary is divided in two by its main waterway, the Danube (Duna); other large rivers include the Tisza and Dráva, while the western half contains Lake Balaton, a major body of water. The largest thermal lake in the world, Lake Hévíz ( Hévíz Spa), is located in Hungary. The second largest lake in the Carpathian Basin is Lake Theiss (Tisza-tó). Hungary has a continental climate, with cold, cloudy, humid winters and warm to hot summers. Average annual temperature is 9.7 ° C (49.5 ° F). Temperature extremes are about 38 °C (100 °F) in the summer and −29 °C (−20 °F) in the winter. Average temperature in the summer is 27 to 32 °C (81 to 90 °F), and in the winter it is 0 to −15 °C (32 to 5 °F). The average yearly rainfall is approximately 600 millimetres (24 in). A small, southern region of the country near Pécs reputedly enjoys a Mediterranean climate however in reality is just a bit warmer than the rest of the country and still has snow in the winters. According to census data, the largest religion in Hungary is Roman Catholicism (50% of the population ), with a significant Calvinist minority (16% of the population) and smaller Lutheran (3%) and Greek Catholic (3%) minorities. However, these census figures are representative of religious affiliation rather than practice; an estimated 10-14% of Hungarians attend religious services at least once a week and fewer than 50% at least once a year, while 30% of Hungarians do not believe in God . For historical reasons, significant Hungarian minority populations can be found in the surrounding countries, notably in Ukraine (in Transcarpathia), Slovakia, Romania (in Transylvania), and Serbia (in Vojvodina), Austria (in Burgenland); Croatia (mainly Slavonia), and Slovenia are also host to a number of ethnic Magyars. The real number of Roma in Hungary is a disputed question. In the 2001 census only 190,000 people called themselves Roma, but experts and Roma organisations estimate that there are between 450,000 and 600,000 Roma living in Hungary . During World War II, 50,000 Roma were killed in Hungary. Since then, the size of the Roma population has increased rapidly. Today every fifth or sixth newborn Hungarian child belongs to the Roma minority. Estimates based on current demographic trends claim that in 2050 15-20 percent of the population (1.2 million people) will be Roma. The President of the Republic, elected by the parliament every 5 years, has a largely ceremonial role choosing the dates of the parliamentary elections. The prime minister selects cabinet ministers and has the exclusive right to dismiss them. Each cabinet nominee appears before one or more parliamentary committees in consultative open hearings and must be formally approved by the president. The unicameral, 386-member National Assembly (the Országgyűlés) is the highest organ of state authority and initiates and approves legislation sponsored by the prime minister. National parliamentary elections are held every 4 years (the next will be held probably in 2010). An 11-member Constitutional Court has power to challenge legislation on grounds of unconstitutionality. Hungary continues to demonstrate economic growth as one of the newest member countries of the European Union (since 2004). The private sector accounts for over 80% of GDP. Hungary gets nearly one third of all foreign direct investment flowing in to Central Europe. Foreign ownership of and investment in Hungarian firms are widespread, with cumulative foreign direct investment totalling more than US$23 billion since 1989. The Hungarian sovereign debt's credit rating is BBB+ as of July 2006, making Hungary the only other country in the EU apart from Poland not to enjoy an A grade score. Inflation and unemployment have been on the rise in the past few years, and they are expected to rise further. Foreign investors' trust in the Hungarian Economy has declined, as they deem that the stringency measures planned in the 2nd half of 2006 are not satisfactory, their focus being mainly on increasing the income side rather than curbing government spendings. Economic reform measures such as health care reform, tax reform, and local government financing have not yet been addressed by the present government. The Hungarian government has expressed a desire to adopt the euro currency in 2010. However, foreign analysts widely criticised that date as highly unrealistic given the current shape of the economy in relation to the Maastricht criteria; their assessments suggest that a date of 2013-2014 for Euro adoption is more realistic. Some analysts even go as far as to suggest that Romania and Bulgaria, who will join the EU in 2007, might beat Hungary to euro adoption. The Music of Hungary consists mainly of traditional Hungarian folk music and music by prominent composers such as Franz Liszt, Béla Bartók and Zoltán Kodály. Hungarian traditional music tends to have a strong dactylic rhythm, just as the language is invariably stressed on the first syllable of each word. Hungarian cuisine is also a prominent feature of Hungarian culture, with traditional dishes such as goulash (gulyás or gulyásleves) a main feature of the Hungarian diet. Dishes are often flavoured with paprika (also Hungarian for pepper). Stews are often to be found with typical elements such as pork or beef, for example as used in pörkölt. Hungary is famous for its excellent mathematics education which has trained numerous outstanding scientists. Famous Hungarian mathematicians include Paul Erdős who is famous for publishing in over forty languages and whose Erdős numbers are still tracked, János (John) Bolyai designer of non-Euclidian geometry or "absolute geometry" in 1831, John von Neumann one of the pioneers in digital computing, Eugene Wigner, and many others. Erdős, von Neumann, and Wigner, like other Hungarian Jewish scientists, fled rising anti-Semitism in Europe, and made their most famous contributions in the United States. Hungarians are very proud of their inventions. These include the noiseless match (from János Irínyi), Rubik's cube, the krypton electric bulb [from Imre Bródy (1891-1944)], and the aforementioned non-Euclidian geometry. A number of other important inventions, including holography, the ballpoint pen (invented by Bíró, who gave his name to the invention), the theory of the hydrogen bomb, and the BASIC programming language, were invented by Hungarians who fled the country prior to World War II. Hungarian literature has recently gained some renown outside the borders of Hungary (mostly through translations into German, French and English). Some modern Hungarian authors became increasingly popular in Germany and Italy especially Sándor Márai, Péter Esterházy, Péter Nádas and Imre Kertész. The later is a contemporary Jewish writer who survived the Holocaust and won the Nobel Prize for literature in 2002. The older classics of Hungarian literature and Hungarian poetry remained almost totally unknown outside Hungary. János Arany, a famous 19th century Hungarian poet is still much loved in Hungary (especially his collection of Ballads), among several other "true classics" like Sándor Petőfi, the poet of the Revolution of 1848, Endre Ady, Mihály Babits, Dezső Kosztolányi, Attila József and János Pilinszky. 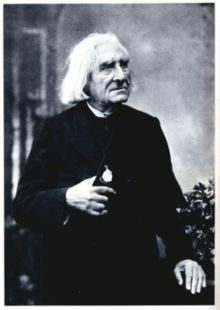 Other well-known Hungarian authors are Zsigmond Móricz, Gyula Illyés, Albert Wass and Magda Szabó. Hungarians are also known for their prowess at water sports, mainly swimming, water polo and canoeing; this can be said to be surprising at first, due to Hungary being landlocked. On the other hand, the presence of two major rivers (the Duna and the Tisza) and a major lake ( Balaton) give excellent opportunities to practice those sports.